By Kirk Lancaster / Feb. 13, 2014, 7:30 a.m. 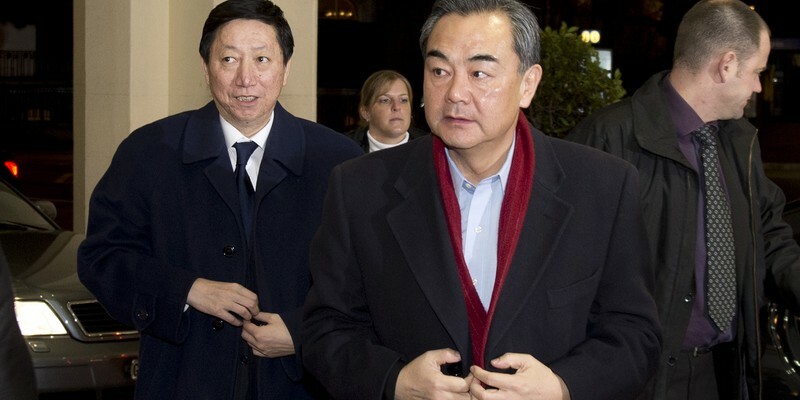 Recently, Foreign Minister Wang Yi of the People’s Republic of China toured Dakar, the capital of Senegal. The trim, clean suits of the minister’s entourage stood out in stark contrast to the dirt surrounding the construction site for the Black Civilization Museum. While the small contingent appeared out of place, their presence is symbolic of an increasing Chinese economic presence on the continent; the museum and the Grand National Theater are both being funded by the Chinese government. China has made it clear for months that it is increasing its role in Africa. Prior to Mr. Yi’s visit to Dakar, President Xi Jinping made a speech in Tanzania in which he confirmed a promise to grant $20 billion in loans to African nations over a three-year period, extending China’s African aid to its highest levels ever. The Black Civilization Museum and these loans are just a few developments in a growing trend of Chinese involvement on the continent. Considering China’s foreign policy over the last decade, the emphasis China’s president is placing on relationships with African nations is not surprising. News headlines indicate that China has launched itself into a race for Africa’s untapped natural resources, propping up pariah states with no-strings-attached aid packages and blocking out Western influence on many developing, unstable nations in the process. But is this an accurate representation of China’s activities? Wang Yi himself claimed that the China-Africa relationship “pales those so-called criticisms and falsehoods” of China’s aid to Africa. Traditionally, it has been difficult to grasp an accurate quantitative representation of China’s African aid. China formally releases little data on development projects it backs in Africa, and the aid itself does not fit into the conventional definitions provided by the Organization for Economic Co-operation and Development (OECD), a platform for world economic growth. Third-party studies on China’s aid have been unreliable at worst, and varied at best. New data from the Center for Global Development (CGD) aims to paint a more complete picture of Sino-African relations by measuring aid without using OECD standards. Researchers compiled data from 1,673 Chinese-backed projects in 51 African countries from 2000 to 2011. The study uses a unique media-based method of data collection by which users of the database help refine the provided information. The report reveals several important facts about Chinese aid to Africa, some of which may be surprising based on Western media accounts of the situation. First, Chinese development projects are not new to thetwenty-first century. In the 1950s, Mao Zedong invested in infrastructure projects in socialist nations in Africa in a deliberate attempt to counter the influence of the United States and even the Soviet Union. Chinese private businesses entered the scene in the late 1970s and early 1980s as China began to expand foreign investment and trade. The end of the century was marked the provision of grants and interest-free loans by state-owned companies to African countries. Second, China’s role in Africa is hardly a scramble for resources, but more likely a long-term diplomatic strategy. Of the 1,673 projects studied, only 83 were in the Energy sector, and 44 in mining. The largest categories were Health, Government/Society, and Transportation. China sees Africa not only as a source of natural resources, but also as a market for finance, manufacturing, and construction. Some economists claim that more than thirty percent of all new infrastructure projects in Africa are the result of Chinese investment. A harder question to answer is whether China’s African investments obstruct Western influence, intentionally or otherwise. Some of the data suggest that Chinese investments are made on a purely economic basis, without any outside political motives. Just as private Chinese companies sought cheap labor and resources in Africa in the late 1970s, today’s state-owned companies are chasing similar fiscal incentives. But even this point is unresolved. For now, the Western world still has an arguable reason to be concerned about its waning leverage in Africa. The entire CGD report can be found here.